Biking itself is an act of caring for the environment but even when we do not bike, we can still help save the environment by merely recycling old bicycle parts and creating new ingenious and useful items from it. 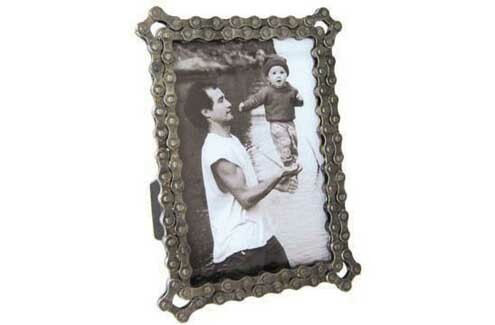 The Recycled Bike Chain Photo Frame by Resource Revival is one such example. The chain creates a stylish and durable frame that can hold a 5”x 7” photo print.